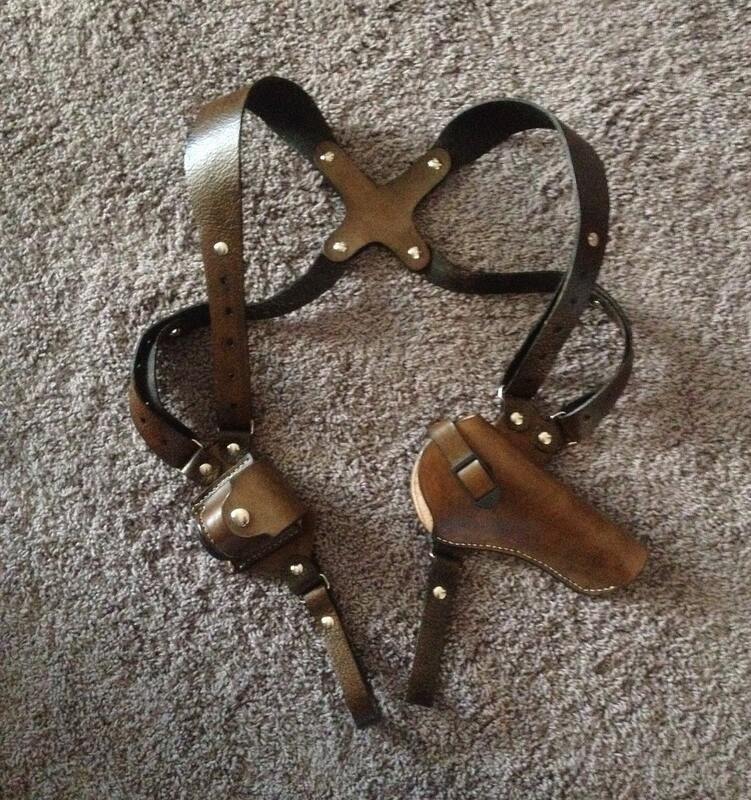 Custom made to order leather shoulder holster for revolver. Includes shoulder harness, revolver holster and speed loader pouch. You choose the color of leather, size of revolver frame, and even add tooling if you like. Genuine veg tan cowhide construction. Shoulder harness is completely adjustable with "Chicago screws" (screw back rivets).